Looking for space to put an exercise room, entertainment center playroom or office? Go underground! If your home has an unfinished basement, remodeling might be a great way to transform this commonly under-used space. When considering a basement remodel, start by making a list of how you want to use the space. Be sure to think about the location of your furnace, washer and dryer, electrical panel and any other large appliances. There are items that can be moved and some we will have to work around. Access to basement from upstairs and outside. Amount of water the area gets. Given their constant contact with the earth, basements are vulnerable to dampness, which makes basement remodeling a bit more complex than first meets the eye. Riverview Contracting will help you take appropriate measures to ensure a room free of moisture. Most basements in older Northen Neck homes have low ceilings and few windows. There are many creative ways to make your basement light and airy. Talk to us about the variety of wall and ceiling lighting options available. We’ll make sure to provide appropriate electrical lines and outlets. Here are some tips of the trade we ask clients to think about when making their underground space first class. Stay away from dark wood paneling and instead consider drywall painted in light tones to make the room brighter. Semi-gloss paint will gently reflect even more light into the room. Open up the visual space. Double doors – even glass double interior doors – take away the typical cubicle look. Or, how about a rounded archway or pass-through area from one room to another? Check to see if exiting windows can be enlarged. Or, consider installing a small boxed window for a mini-garden to grow herbs or start plant seedlings. In some case we may even be able to cut a new window into the existing foundation wall. Built-in books cases and entertainment units add richness and depth to a room. Light them with interior lights or from the top to cast a light downwards. Disguise vertical support beams and horizontal ceiling pipes for floor joists by boxing them in. Or, you might decide to actually use pipes and beams as interesting accents by painting them with bold colors or subtle earth tones. An unfinished basement is much like a diamond in the rough – unexplored splendor awaiting your discovery. Our team has been working with families like yours for over 20years. And it is important to us that everyone works together to create the best possible experience. If you have questions about your home improvement project please let us know. As we get closer to the end of fall, many people’s attention starts to turn to their fall home improvement projects. Now is the time to start planning because whether you are thinking about windows & doors to prep for the upcoming cold weather, a basement so the kids have a place to play when its snowing, or kitchen and bath renovations in time for the holidays it takes time to get the contractor, plan, permits, and materials all ready to go. According to Remodeling Magazines 2016 Cost versus Value report, “For the first time in six years, the overall average cost-value ratio has improved, reaching 60.6%…Cost-recouped percentages were up for all 35 projects in the survey, a complete turnaround from the 2014–15 report, when percentages dropped in all but three projects, some precipitously. The report lists these as the top 5 renovations in the Northern Neck area for recouping your investment in your home. So as you start to plan your fall improvements consider whether these projects are on your list. Also take the time to consider Riverview Contracting, a professional contractor, who is licensed, and insured and who can get your project done right. For homeowners seeking to offer high-value feature at a relatively low cost, the answer is just overhead. With today’s new homes being constructed somewhat smaller than even just a couple of years ago, the value of increased storage space is becoming more important. This is evident by the ever-increasing and somewhat expensive, offsite mini storage facilities popping up on almost every corner. (A typical 5 x 5 space rents for anywhere from $35 to $80 per month depending on the city). This additional attic space in every home can be as little as just a few square feet or as large as the entire attic area. Other than storage, the space can also be utilized to house the mechanical equipment of the home such as air handler units, water heaters, etc. This frees up valuable living space down below. Whether the space is used for storage or not, the IRC still requires an access to that space. The access can be through a scuttle hole or an attic stairway. The reason is to provide access for building inspectors, fire fighters, electricians and any of the trades that might need to gain access during the life of the home. Granted, not all areas of the country nor all styles of homes lend themselves to utilize this space, but for those that do, it is a marketable, value-added feature… storage space. While many builders in various parts of the country take advantage of this opportunity, many do not, here at Riverview Contracting we emphasize what additions and new construction add to your home. Whether omitting this useable space is just a regional habit, a structural fear or energy compliancy concerns, these issues have been resolved over the past several years. The simplest and most cost-effective way to incorporate this space and its access is at the time of construction. The cost is minimal, usually less than $400, which includes the cost of truss design, the materials and can include the cost of the attic stairway depending on its placement within the home. This load bearing attic cavity can be created whether the roof is of truss construction or site built and whether or not the attic is considered conditioned or unconditioned space. For those with energy code compliancy concerns, many new attic stairway products have been developed. 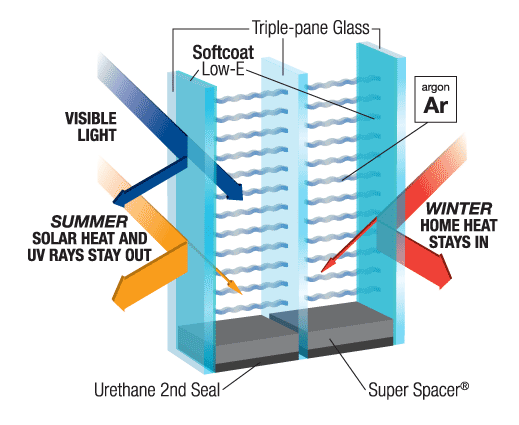 There are stairway units on the market with R-5 to R-50 insulated doors that are weather-stripped and air tight. The use of an attic stairway makes access to the attic much easier and safer than going through a scuttle hole using a step ladder. There are also aftermarket products that can be utilized as well to eliminate energy loss. The products developed and available today are not the same products as 5 years ago. As always contact us to review this particular topic or anything related to new home construction, additions or remodeling. In our last blog we talked about how much value a kitchen remodel can bring to your home. If you’re excited to remodel, but are not sure how long you plan to be in your home, you might want to approach your remodel with a slightly different angle. Value — You’ll want to create a kitchen that reflects the value of the area you live in. Be careful about designing an elaborate kitchen for a neighborhood that won’t reap it’s value. But it’s equally important that you don’t cut-corners on a kitchen in an otherwise luxurious home and neighborhood! Style — It can be tempting to pour your own style and personal touches into a kitchen. And this is not a bad thing! But if you’re concerned about selling, select a refreshed updated look that still suits the style of your home. If a new buyer falls in love with the arts and crafts style of your home’s exterior, they might be surprised to find the overly-modern kitchen inside. Don’t design separate rooms with styles that clash. When in doubt, go for a transitional style that merges traditional with more contemporary looks. Energy — Invest in energy-efficient appliances. Not only do they save you money as they use less energy, potential buyers see them as a wallet-friendly bonus when shopping for a new home. Read what energy star has to say about saving big with appliances on their fact sheet here. Functionality – Whether you’re thinking of yourself or future buyers, organizational elements are a big hit with everyone! Invest in features like drawers for your cabinetry and pantry, soft-close cabinets, waste-recycling cabinetry space, and other organizational aspects. A well organized kitchen never goes out of style. Ready to get started? Check out these Top 8 Kitchen Remodeling Trends and see if any of them might be good fits for your new, improved kitchen!